Our mentors are the human element behind Exercism, providing empathetic feedback on learners' solutions. I don't always use C++, but when I do, I love seeing the template errors. C++ was the second programming language I learned and it has been my favorite ever since. That has been 14 years ago. I love it for its speed and explicity. Currently working on a large project in C++ so working on my chops along with the rest of you all, trying to give back to help out others. C++ is a powerful language, and I love it for its speed and abundance of utilities. It works both at high-level and low-level, simple and complex program. I've been using C# for personal projects in Unity for a little over a year and love the balance it strikes between readiblity and functionality. Marcell Lipp How to survive as a programmer? Developing C++ professionally in some projects, such as Real-time Applications, IoTs and Games, I've found C/C++ the most influential invention of the century. 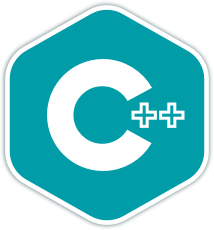 Until now I have worked mainly with C. However, through my master in Embedded Systems I discovered the power of C++. I love the power and the flexibility of this language. I have been using C++ for the past 2 years and I am a data structures teaching assistant. I have experience in program architecture and object oriented programming and I am here to help you in your ventures in becoming computer scientists!